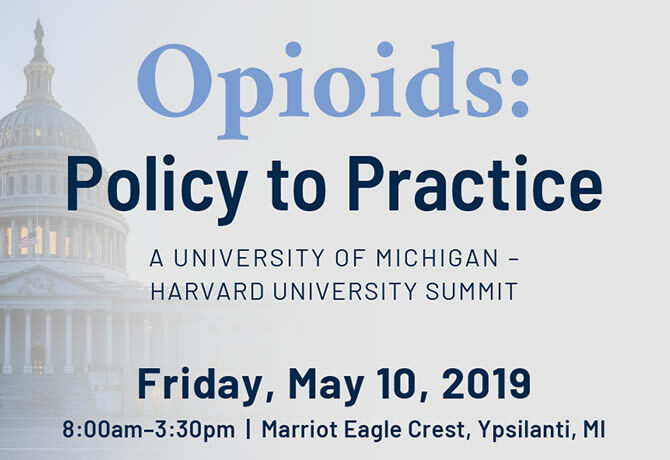 U-M-Harvard Opioid Summit focuses on improving policy and practice. Eric Hanss, Jonatan Martinez, and Nick Najor are this year's Bohnett Fellows. The Ford School is launching an exciting new graduate degree program, the Master of Public Affairs. The David Bohnett Leadership and Public Service Fellowship program was highlighted in Governing Magazine.